Can you get some of the best new handcrafted and original artwork money can buy in Buffalo, all in one place? Well, yes it is! 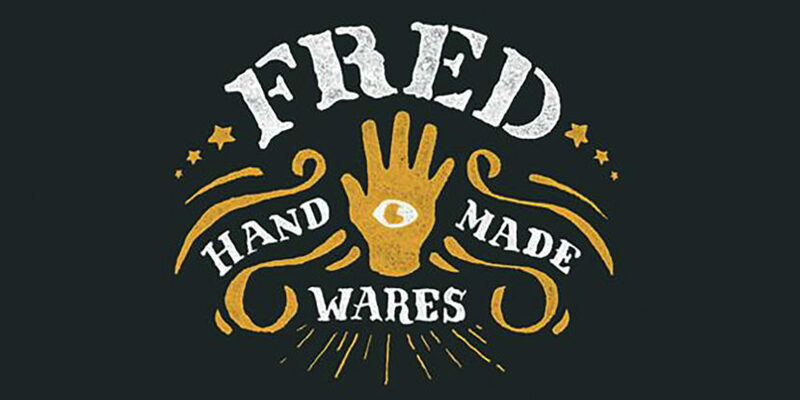 Fred Handmade Wares + Gifts offers some of the most elite and authentic handmade products from Buffalo artists. 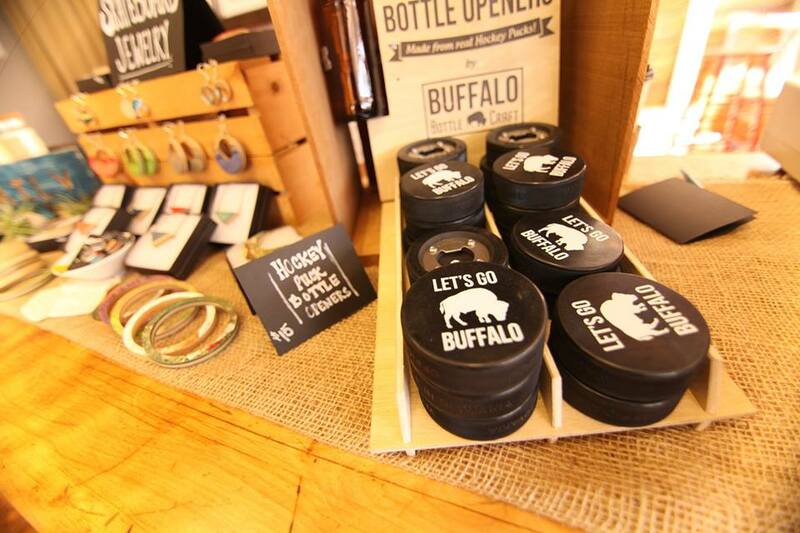 They have everything from handmade soy candles, hand-knit beanies, fresh soaps, custom pins, skateboard jewelry, artwork, and so much more… even hockey puck bottle openers! I need to get one of those! All of these unique gifts, and even breakfast and coffee, are available at the corner of Edward St. & Franklin in downtown Buffalo: 385 Franklin St., Buffalo NY. I can’t stress it enough about my Buffalo people: We hustle! We know what it takes to make an extra dollar and we work hard for everything. It’s as simple as that. There’s so much honor in your own creation, which is well respected around the community in Buffalo, NY. That’s why the city thrives on small businesses and independently owned restaurants (which serve some of the best food and drink this side of the country). Personally, I’ve seen the growth of Kyle & Katie’s operations & work ethic: These two creative minds work with everything in their power to put any ideas into action. They’re honest Buffalonians marking their place on the map… and I love it! I remember when this area was nothing but blank walls and storage, but they transformed this into a warm and welcome place to take a piece of Buffalo home with you! There is a variety of flavors within the Buffalo Art community, which Fred Handmade is invested in. 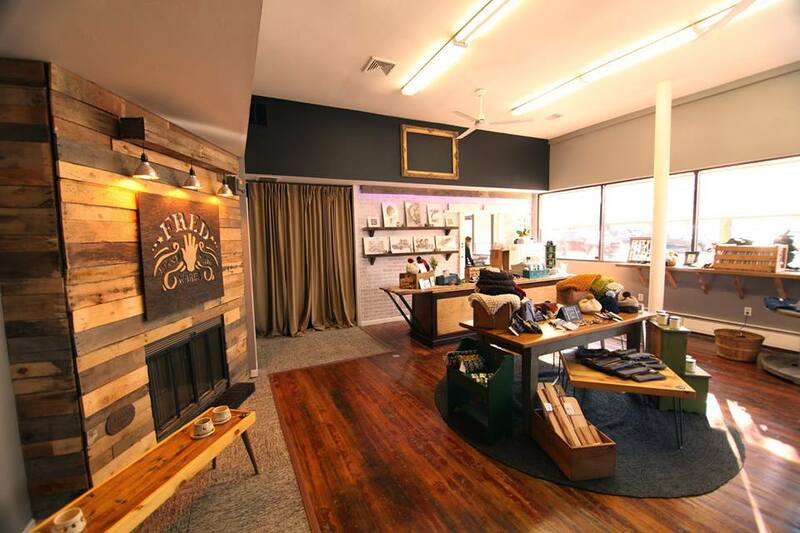 Now, you can pick up your favorite pieces from Biondo Art at Fred Handmade Wares + Gifts! 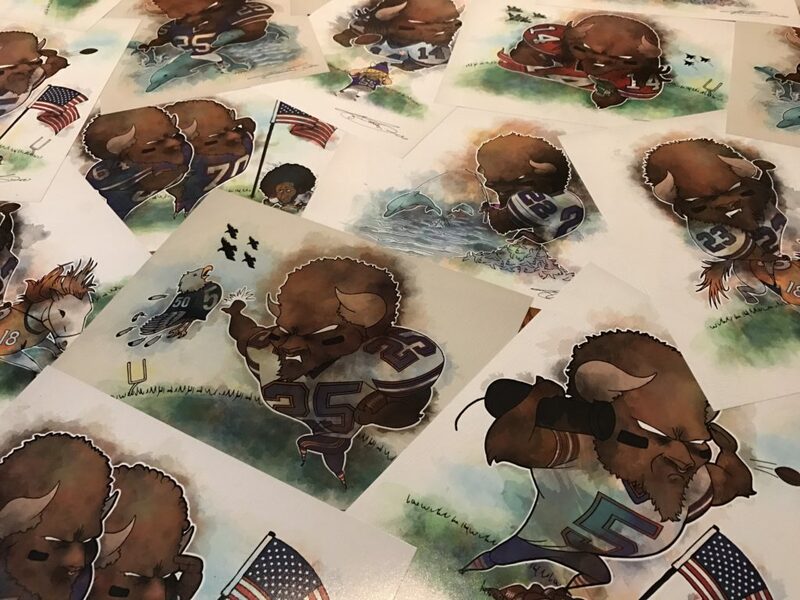 There’s a selection of Buffalo football cartoon illustration prints available for sale with even more new pieces arriving periodically: Featuring exclusive fine art canvas prints. I’m very proud to have my artwork at Fred’s so stop by and pick up some new Buffalo products made by the finest hands in the business! You have to check out this place!